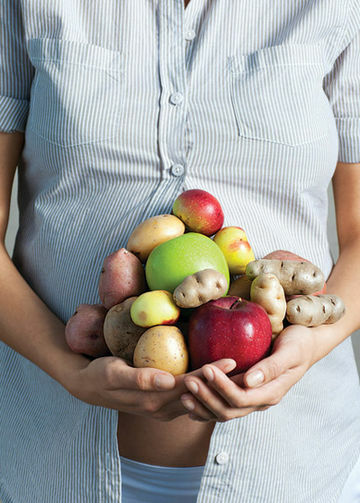 Nothing reinforces your desire to eat right during pregnancy like a visit to your local farmers market. Strolling past the outdoor food stalls loaded with fresh fruit and vegetables, many of them organically grown and not readily available in supermarkets (think juicy brandywine heirloom tomatoes and colorful purple dragon carrots) just make you want to expand your healthy horizons. 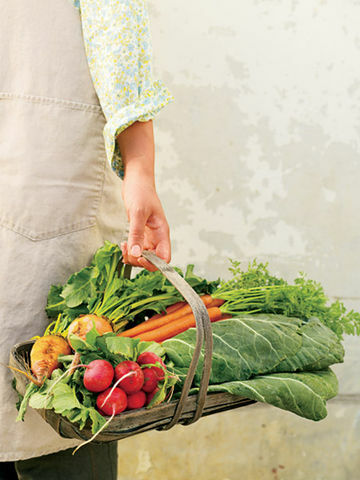 To help you make the most of summer's bounty, we've put together a shopping list of the best seasonal produce for pregnancy with the help of Melissa Dobbins, M.S., R.D., C.D.E., a spokeswomen for the Academy of Nutrition and Dietetics and prenatal nutrition coordinator at the Center for Maternal and Fetal Medicine North Shore University Health Systems in Evanston, Ill. These fruit and vegetables are chock-full of the vitamins and minerals you need to build a healthy baby such as folate, iron, and calcium. Plus, we make it easy to use your farmers market finds with four simple recipes that make the most of our 11 healthy produce picks. 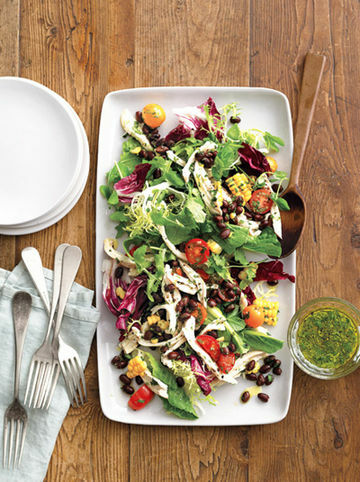 The corn and beans in this salad offer up to 13 grams of fiber to help alleviate pregnancy constipation. 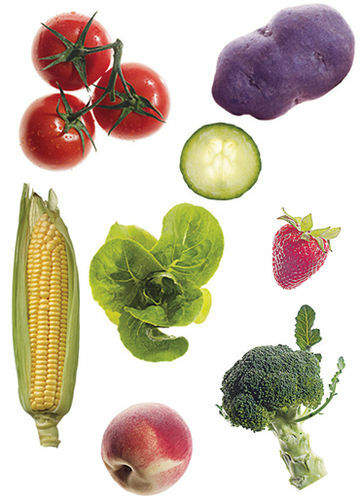 Corn also has lutein, which is important for your baby's eye development, and tomatoes are loaded with vitamin C.
Le Grand Aioli is a traditional French dish of simply prepared fish and vegetables. 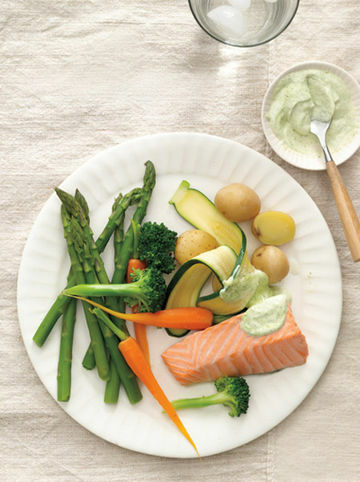 Our version uses protein-packed salmon, rich in omega-3 fatty acids, essential for you baby's brain development. Potatoes, broccoli, carrots, asparagus and summer squash all boast vitamins A (essential to the development of your baby's vital organs) C and K, and potassium. 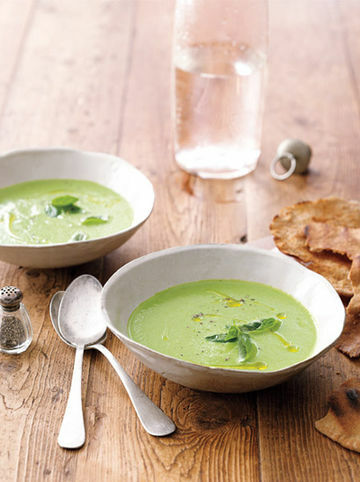 This cold soup keeps you hydrated, thanks to water-packed cucumbers, which also have vitamins C, necessary for iron absorption, and K, essential for blood clotting. Spinach is loaded with folate and iron, which helps you avoid pregnancy-induced anemia. 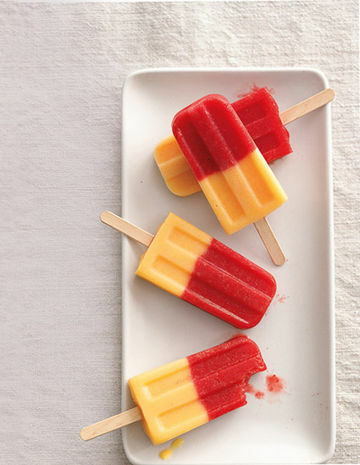 Cool and refreshing, these ice pops are a great way to use up leftover ripe fruit. Strawberries are loaded with folate, a B vitamin that helps protect against neural-tube defects (such as spina bifida), while peaches are an excellent source of vitamin A, which helps fight infections. Investigate Organic Organic farmers must display their certification. However, many practice organic farming without being certified because the process is costly. The only way to know for sure is to ask the farmer. Get To Know The Farmer Look for vendors with neat, clean stalls who prominently display the farm's name and location—a mark of pride of ownership experience. Ask them friendly, open-ended questions like, "Tell me about your farm" or "How did you grow this?" to assess if their practices are in line with your values. A vendor worth buying from will give an enthusiastic and knowledgeable responses. Shop For Flavor How a food tastes is the most obvious indicator that it was carefully grown. Be sure to ask for a sample. Join A CSA Community Sponsored Agriculture-known as CSAs-allows you to partner with a farm by buying shares of a crop in advance. In exchange, you get a weekly box of produce. Before you sign up, ask how long the the CSA has been in business, how many people each box will feed and talk to current CSA members about their experiences. To find a CSA farm near you, visit locaharvest.org.